Based on a compilation of Comet ISON observations from observers worldwide as of Oct. 24, the comet, once proclaimed as possibly the "Comet of the Century" was running about 1.3 magnitudes, or 3.3 times fainter, than the "official" brightness forecast issued by the Minor Planet Center in Cambridge, Mass. As the comet comes down the home stretch of its long journey before finally grazing to within 730,000 miles (1.2 million kilometers) of the sun, great uncertainty continues regarding whether or not it will remain disappointingly dim or whether it will end up evolving into a spectacularly bright object. 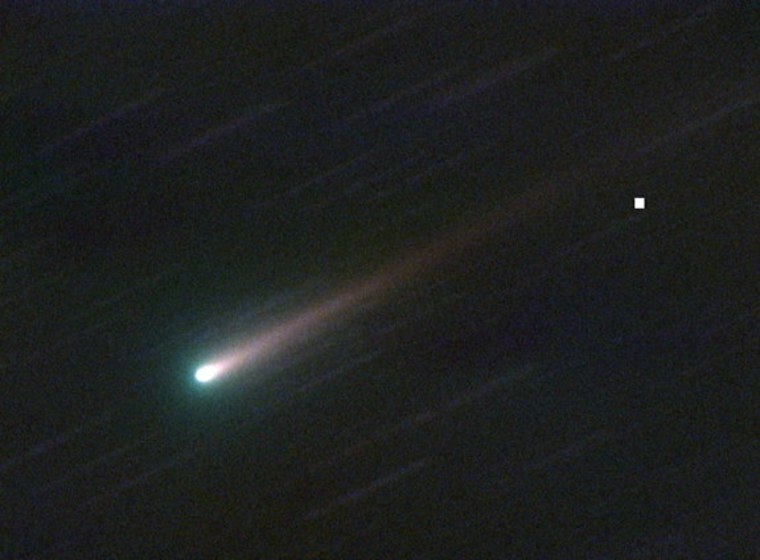 Whatever is happening, Comet ISON continues on its way in toward the sun and crossed the Earth's orbit on Wednesday at 6 p.m. EDT.